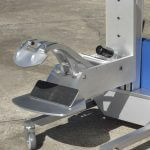 Check out one our latest end-effectors for use with the Ergo Tranz lift and transport solution, which we refer to as the Harpoon Hook. The customer needed to lift wire spools from a pallet, transport and place each close to the assembly line. At up to 300 lbs. each, performing the task manually is not safe or efficient and so we came up with this ergonomic solution to lighten their load. After the device is lowered and placed into the spool, a simple twist and lock by hand engages the Harpoon Hook ready for safe transport. 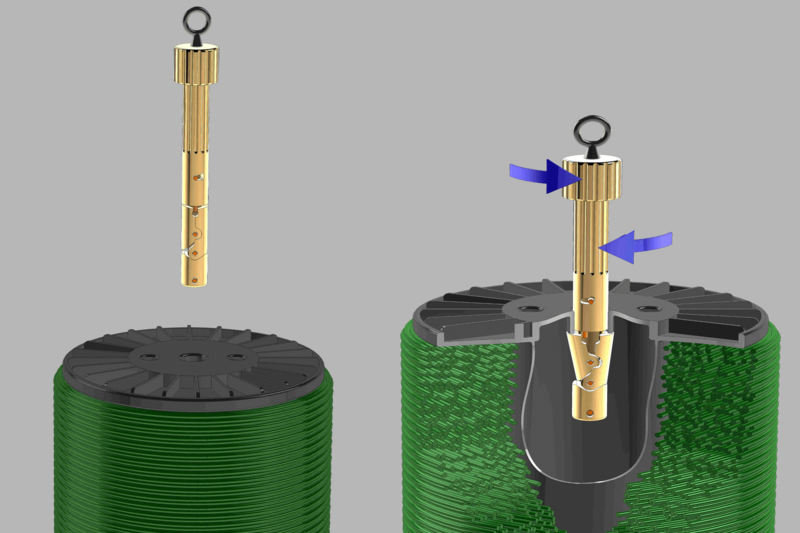 The solution was developed for open core spools with 1 ½”, 2” or 2 ½” core diameters. Lockheed-Martin study quantifies the benefits or ergonomic work positioners from Ergotronix.